Home Netherlands	Some Dutch people live below sea level. The iconic Afsluitdijk made that possible. The Afsluitdijk is the longest dike in the Netherlands, protecting our country from the sea for more than 80 years already! 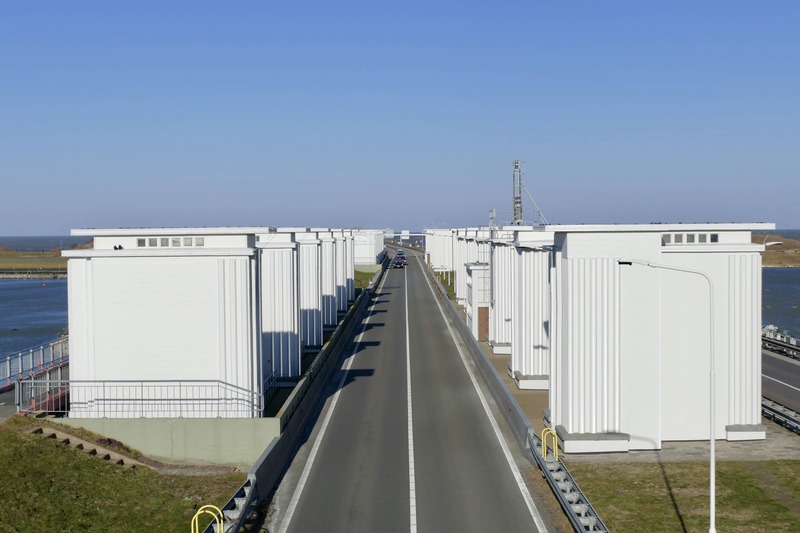 32 Kilometers long, the Afsluitdijk is more than ‘just a dike’. 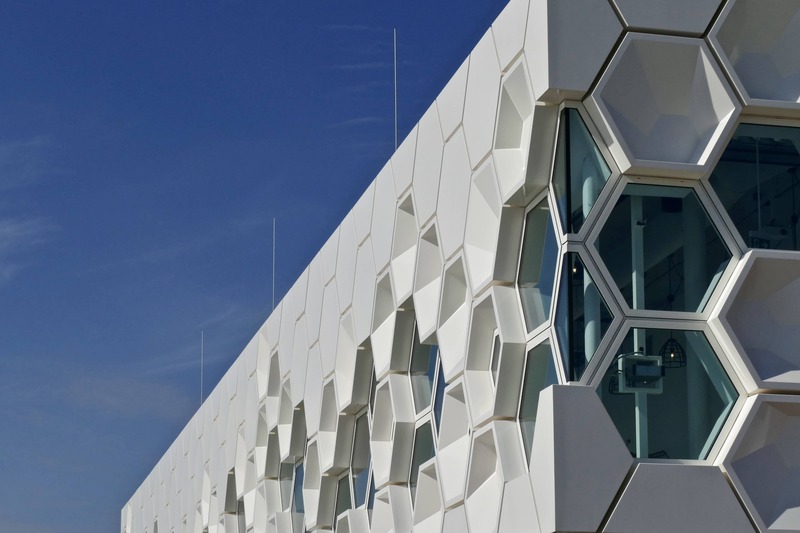 It has become an icon of water engineering with high cultural and historical value. When the Afsluitdijk was constructed 80 years ago I don’t think people could have imagined it would even become a real tourist destination. 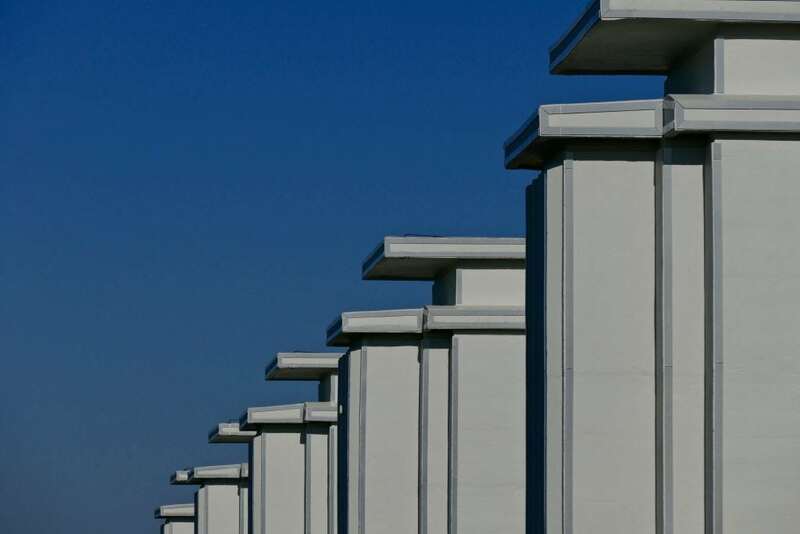 Together with 13 other fascinating locations, the Afsluitdijk is part of a brand new touristic route called ‘The Netherlands Waterland’ (more about this at the end of this post). Invited by Rijkswaterstaat, I visited the Afsluitdijk with a group of enthusiastic photographers and realized why they call this dike the Grand Lady of Dutch water engineering. One-third of the Netherlands is actually below sea level. Really. This includes cities like Amsterdam and our national airport Schiphol. Dikes like the Afsluitdijk made this possible. The Dutch have been in a continuous battle with water for centuries. 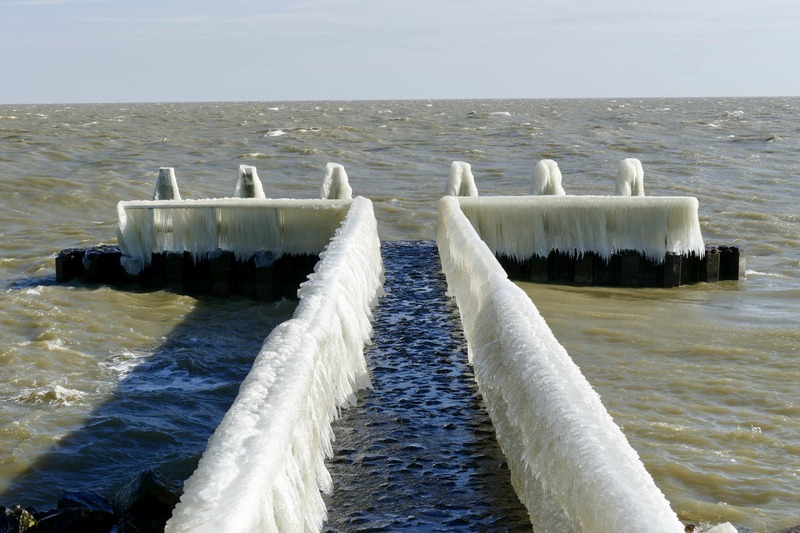 The Afsluitdijk has been one of the biggest water projects ever and was constructed between 1927 and 1932. It dammed off the Zuiderzee (a salt water inlet of the North Sea) and thereby created the largest fresh water lake in Europe: the IJsselmeer. 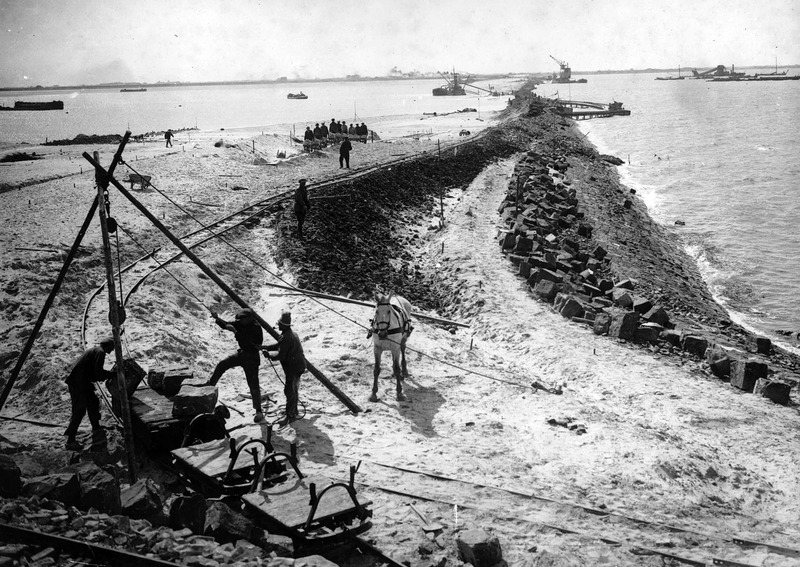 Building the Afsluitdijk was an immense job, especially in the 1920s. Just have a look at these historical pictures. 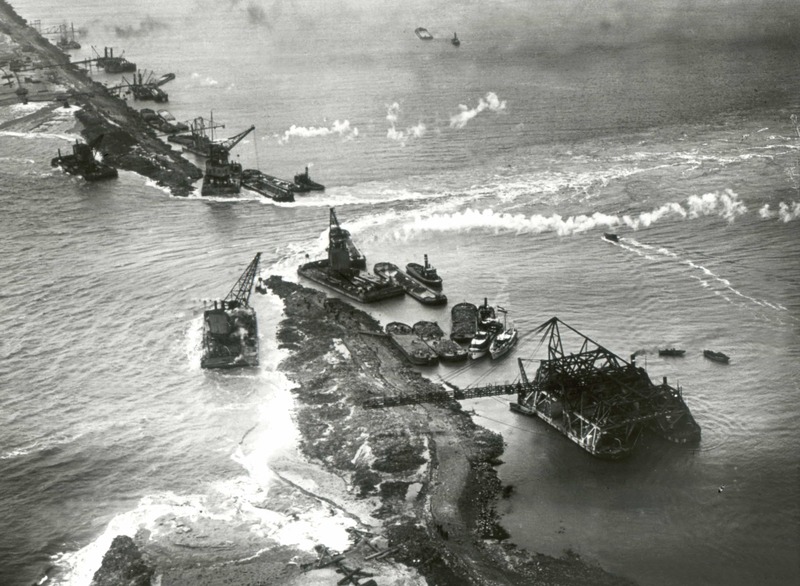 Ten thousand workers from multiple countries helped to build the dike, brick by brick, sand dumping after sand dumping. Interesting to know is that the work started at four points: on both sides of the mainland and on two specially made construction islands. 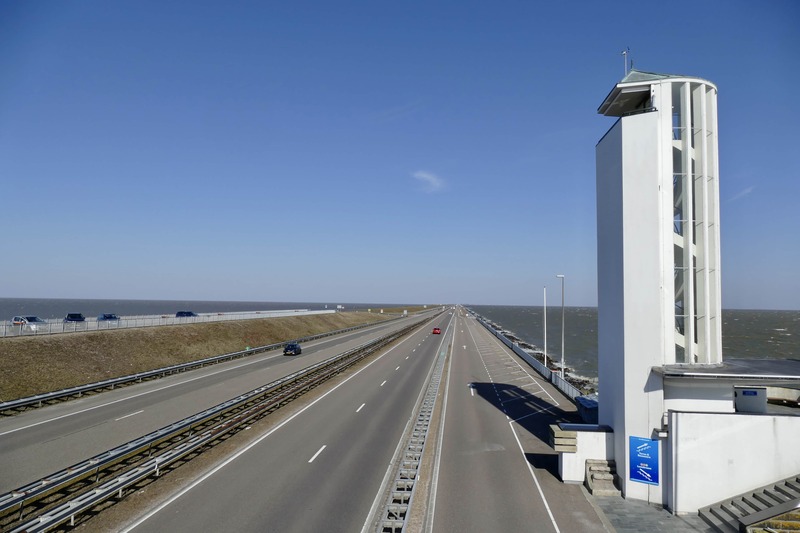 The Afsluitdijk (in English: Closure Dike) was officially opened on 25 September 1933, with a monument designed by architect Dudok marking the exact spot where the last brick was laid to close the dike. The picture below was taken 2 days before the closure. A real historical moment in Dutch history. The Afsluitdijk has long been seen as ‘just’ an easy connection between two parts of the country that were separated by a large body of water in the past. But recently it has been drawing international visitors who are interested to see this famous piece of water engineering. 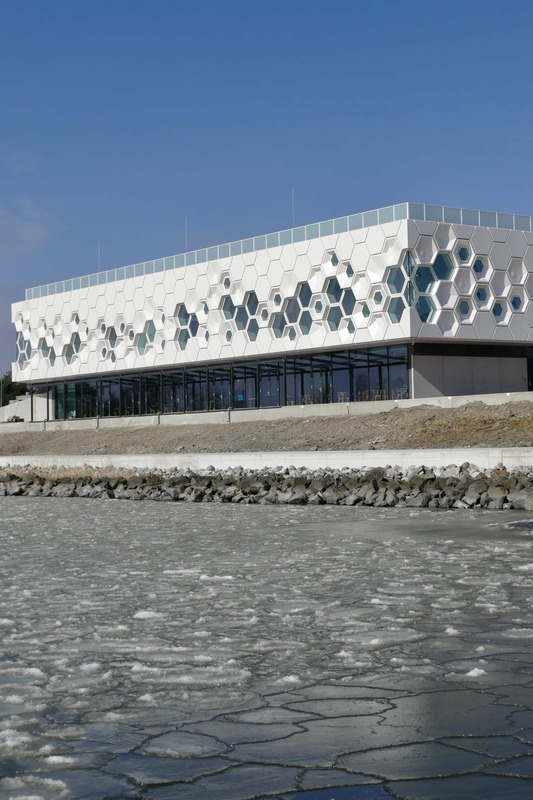 Should you plan a visit, here are some things to do on or near the Afsluitdijk. Let’s start in the middle at the Dudok monument and viewing tower. Here the last part of the Afsluitdijk was closed back in 1932. This is the only spot where you can park your car. In the coming years the monument will be renovated, including new bike paths on both sides of the dike (where you now have a bike path on only one side). If you really want to challenge yourself the Dutch way, rent a bike and go for it! 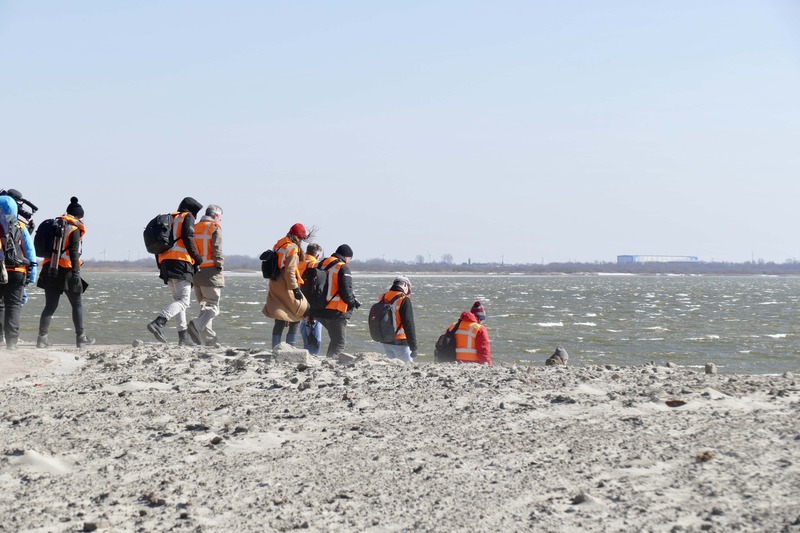 With our group of photographers, we visited at the end of winter when an ice-cold Siberian wind almost blew us off the dike. 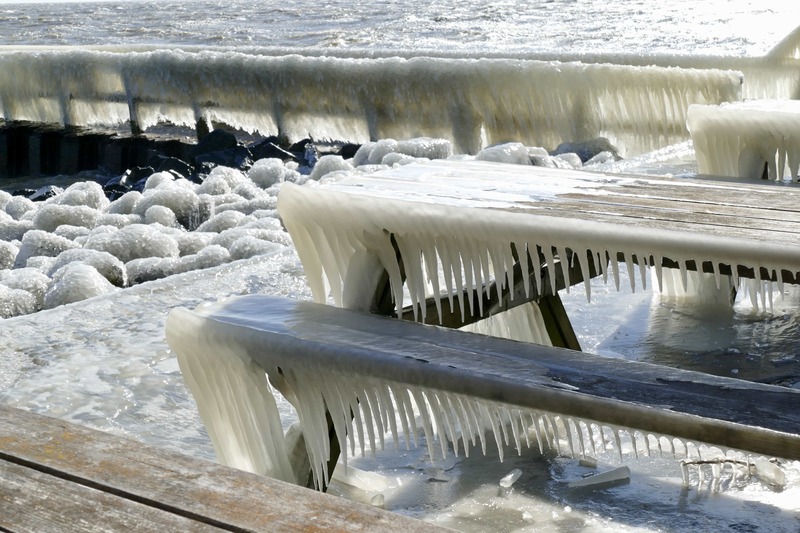 We were not allowed up the viewing tower because of the wind, but the icy sceneries we encountered near the water made up for everything! The Stevin and Lorentz locks on both sides of the Afsluitdijk are functional but also beautifully designed. To me these symmetrical and monumental locks look like true gatekeepers. Recently, Dutch designer Daan Roosegaarde created a beautiful artwork by adding retro-reflective layers. Check out his website, it looks amazing! 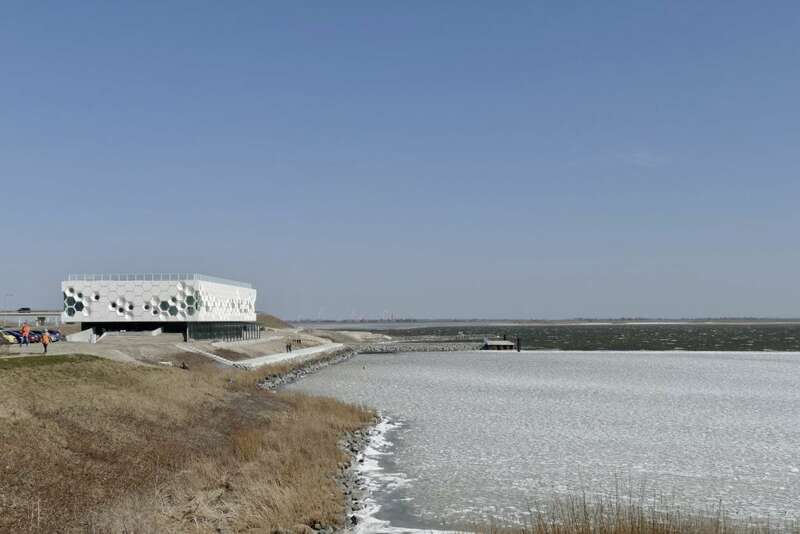 On the east side you have to visit the brand new Afsluitdijk Wadden Center. The center not only offers great views of the IJsselmeer, but it’s also the place where visitors can learn about the nearby UNESCO Wadden Sea, the history of the Afsluitdijk and the upcoming big renovation which will take place between 2018 and 2022. 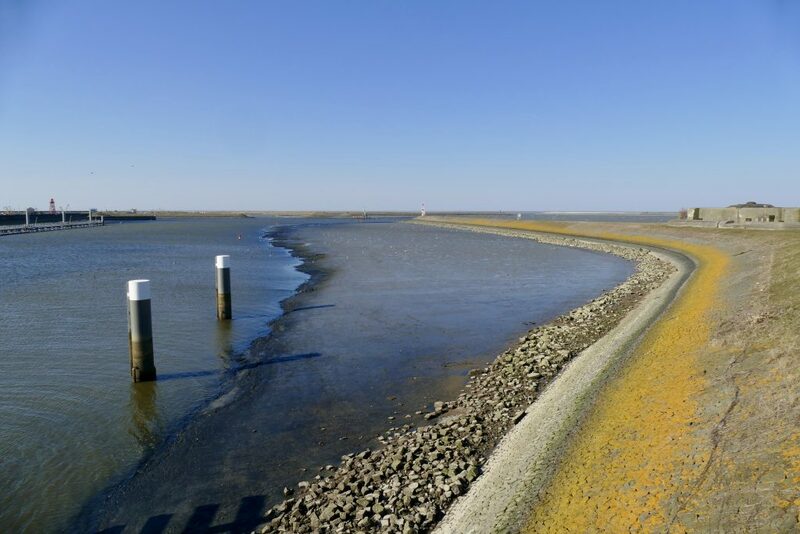 To safeguard the future of the Dutch people, the dike will be reinforced, the locks will be expanded, a fish migration river will be build, and much, much more. 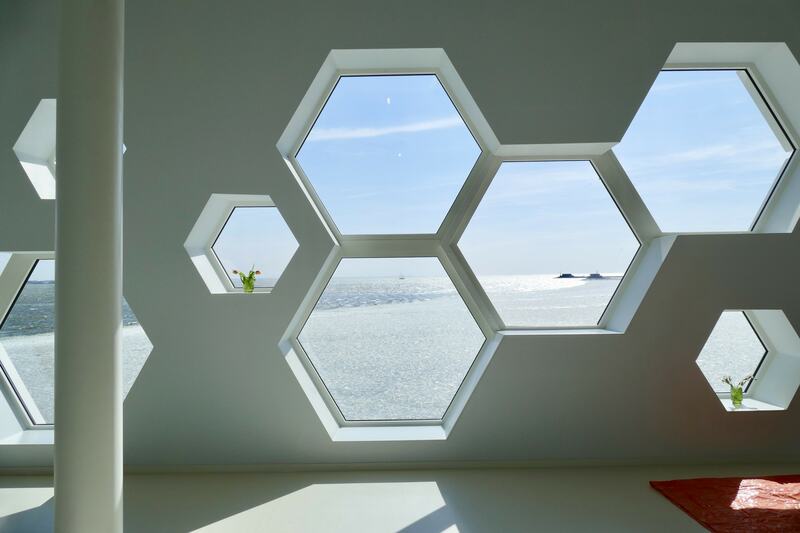 The design of the Afsluitdijk Wadden Center is impressive and consists of hexagonal patterns. 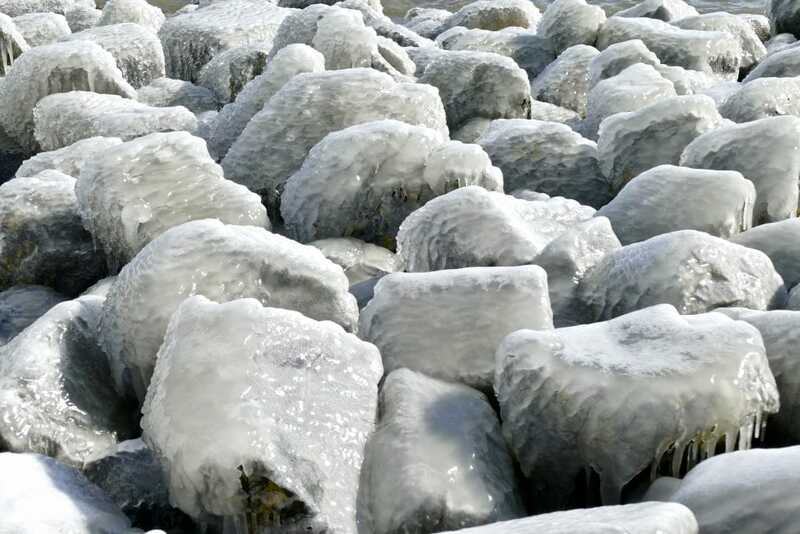 The hexagon is a natural pattern that you see a lot near the Afsluitdijk: the basalt, foam but also the ice shapes that we saw during our visit (check the picture below!). A restaurant is open 7 days a week from 10.00 – 21.00h. 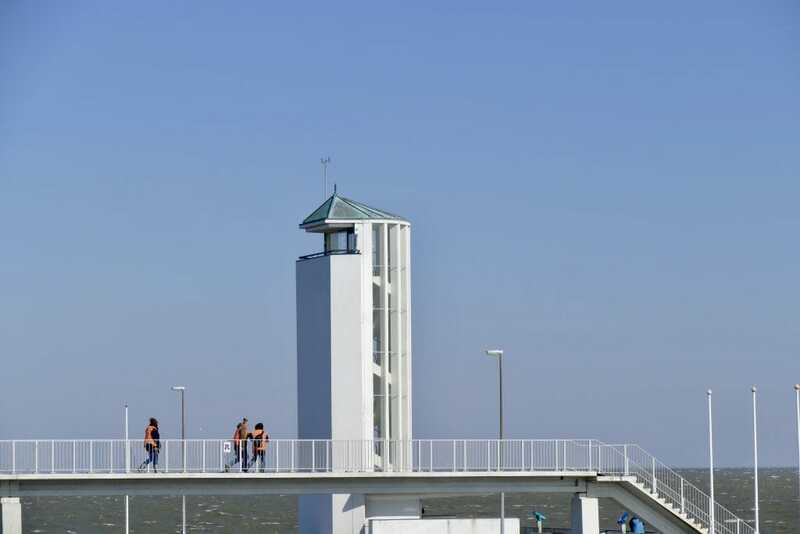 The Afsluitdijk receives 300,000 visitors per year and that number will definitely grow now that the Dutch tourism agency has launched ‘The Netherlands Waterland’ touristic route. This so-called Storyline lets people understand and experience various ways how the Dutch deal with water. It brings you to famous places like Kinderdijk, Giethoorn, the Deltawerken and, of course, the Afsluitdijk. You can download a complete trade kit here. The only thing you have to do is rent a car and book some hotels! 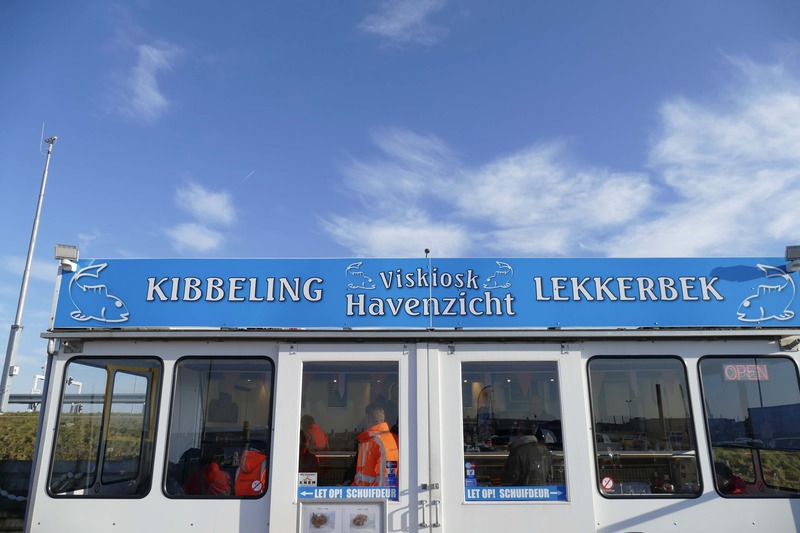 At the west side of the Afsluitdijk, in Den Oever, you have to stop to eat fresh fish! Just look for this small cabin. Your taste buds will love it! 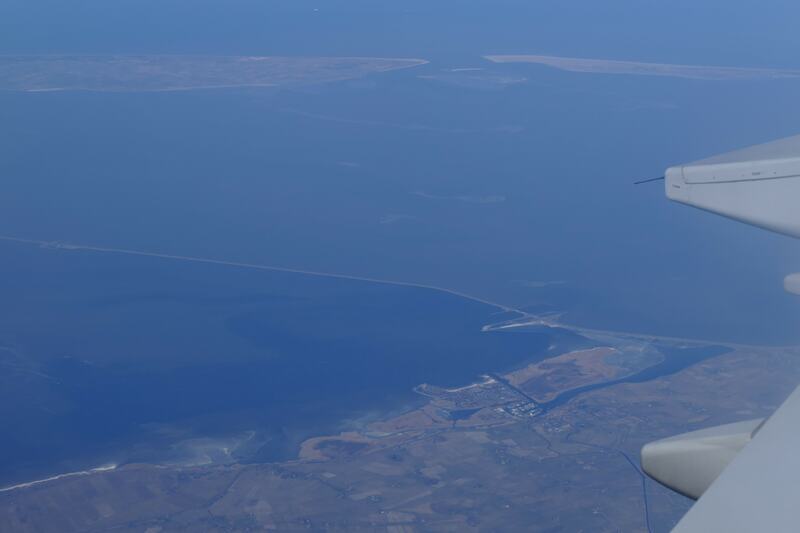 One day after my visit to the Afsluitdijk I had the pleasure of flying to Copenhagen, Denmark. Guess what caught my eye right after take-off from Amsterdam airport? An almost straight line dividing the water: the Afsluitdijk! Make sure to view a complete set of pictures from my visit by clicking here. 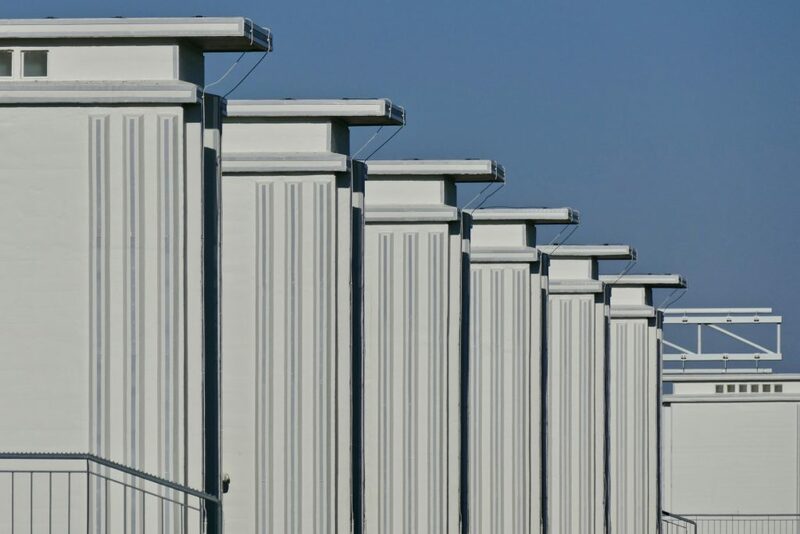 Rijkswaterstaat is a Dutch government institution, responsible for the design, construction and maintenance of the main infrastructure facilities in the Netherlands. They regularly invite photographers to visit new or existing infrastructure projects. 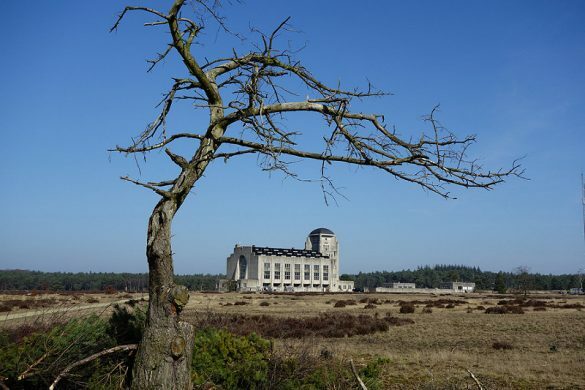 This Dutch engineering marvel is probably among the most important projects in the 20th century. 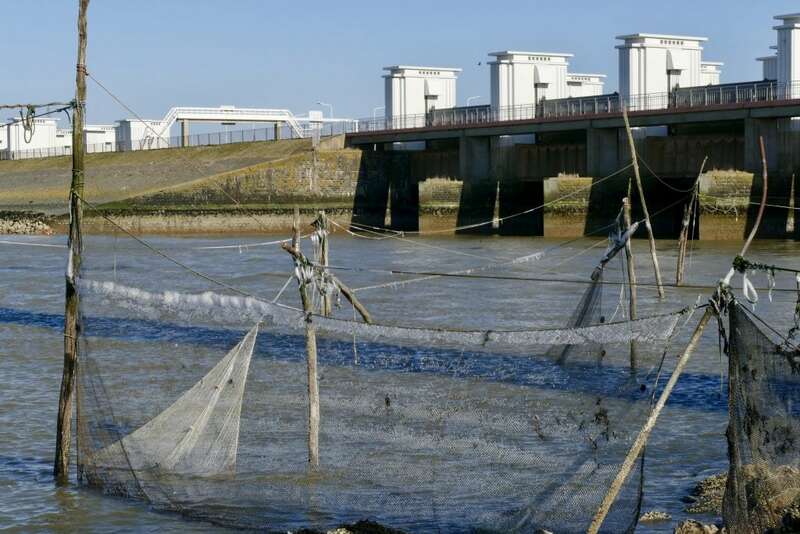 Cities around the world which are facing the threat of a rising sea level look up to the Netherlands and learn how to implement such protection against the nature for their own residents. Jakarta is one of those cities, and a megaproject to create a giant dike off the northern coast of the city was started a few years ago with the help of, of course, the Netherlands! However, politics seems to put that much-needed project on halt. You are right. Dutch engineers are busy working in areas all over the world. It’s hard to imagine when you live or travel in the Netherlands that so much land is way below sea level. 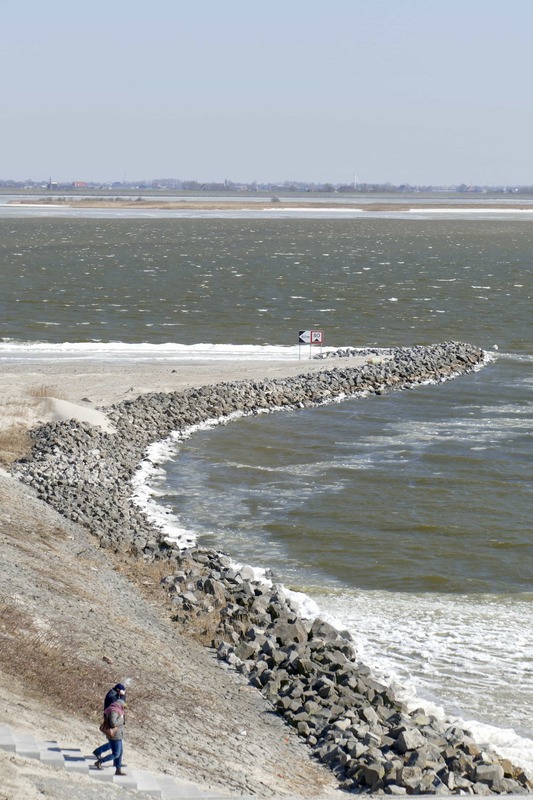 The Afsluitdijk is only one of many water battling projects; every year new projects are started. It’s a pity that Jakarta politicians don’t see the urgency. Thanks for this comment! 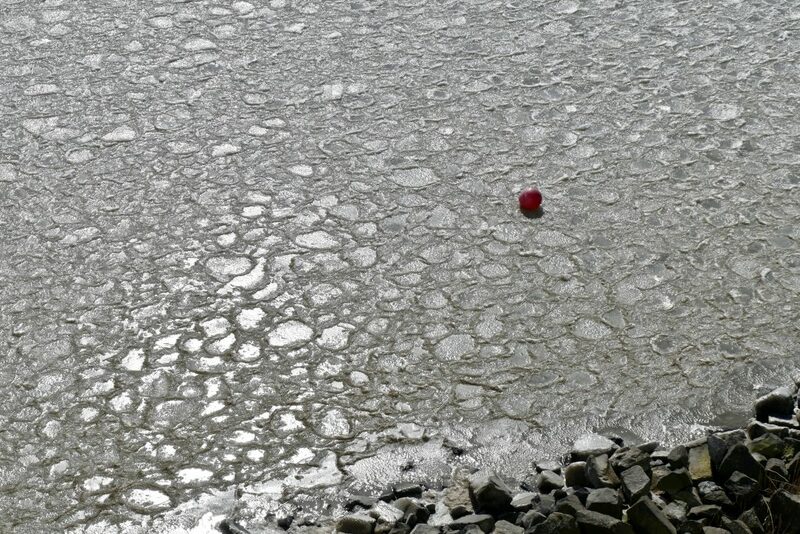 Home » Spotlight » Netherlands » Some Dutch people live below sea level. The iconic Afsluitdijk made that possible.